Discussion in 'Guides' started by RGiskardR, Jun 4, 2018. Microsoft renamed and redesigned the Quiet Hours feature of the Windows 10 operating system with the release of the April 2018 Update for the operating system. Focus Assist, the new name of the feature, blocks none, some, or most notifications on devices running Windows 10 version 1803, the April 2018 Update. The core idea behind the feature is to limit the noise of notifications when you need to focus on important tasks; if you give a presentation or work on a class assignment, you probably prefer not to be reminded that the life in Candy Crush replenished or that Windows Defender finished scanning the device. 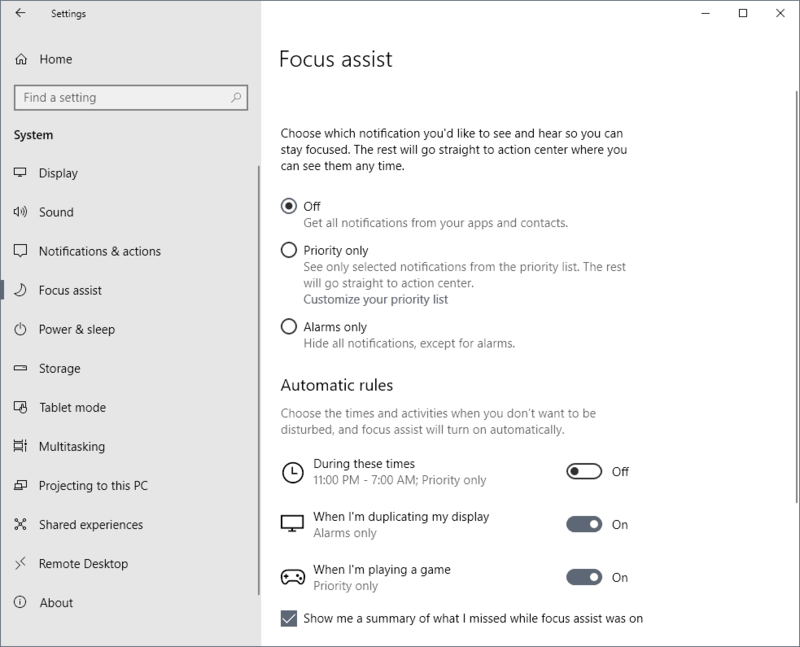 Focus Assist suppresses certain notifications on Windows 10 devices. Please note that some notifications may still be displayed even if you enable the feature as programs may use their own type of notifications that is not the standard Windows 10 way of pushing notifications to the user.